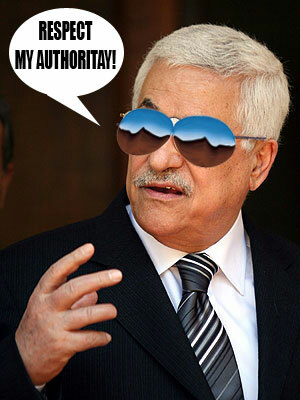 Last week Mahmoud Abbas’ defunct Palestinian Authority signed a conciliation agreement with Hamas. This week he joined his fellow zionist Shimon Peres at the Vatican so the two athiests could pray for Peace in the presence of Pope Francis. Later in the week Palestinian journalists who oppose his leadership were savagely attacked while covering a demonstration in the Occupied West Bank city of Ramallah. And the attacks on the journalists are part of a wider crackdown by Palestinian Authority de facto leader Mahmoud Abbas against Palestinians who oppose his rule or mobilize for Palestinian rights. This video report from Wattan TV shows Palestinian Authority security forces beating and arresting Palestinian journalists in the occupied West Bank city of Ramallah today. The violence occurred as journalists were taking part in a rally, called for by the Palestinian Journalists Syndicate, against previous violations of their rights by the PA. The report by Farah al-Zahalqa includes journalists’ testimonies of what happened. PA security forces are financed by and trained under the auspices of the European Union and the United States. Photographer Muath Mishal of Turkey’s Anatolia News Agency said three journalists were “savagely” beaten and arrested, and had their cameras and telephones confiscated. He named two of them as Muath Amarneh and Anis Arqoub. Mishal said that plainclothes officers had been going around telling the journalists that they could not take photographs. When journalists asked the men to identify themselves, the journalists were attacked. Al-Shayib demanded accountability for those who had ordered and taken part in the attacks. The journalists’ rally today coincided with a march in Ramallah by relatives of Hamasmembers imprisoned by the Palestinian Authority, according to al-Zahalqa’s report. Human rights groups have called for the PA to end its prosecution of four Palestiniansarrested in connection with a peaceful protest calling for the boycott of Israel. Abbas, who strongly opposes the boycott of Israel, announced last month that he considers collaboration with the Israeli occupation to be a “sacred” duty. He was recently praised by senior US official Martin Indyk for ongoing collaboration between PA security forces on the one hand, and the Israeli occupation army and Shin Betsecret police on the other. This close cooperation with the occupation continues in spite of Israel’s verbal opposition to Abbas’ recent “reconciliation” deal with Hamas. PA repression also continues despite of Abbas’ recent signing, on behalf of the “State of Palestine,” of the UN Covenant on Civil and Political Rights.